Years ago, our tourism office here in Ottawa developed a program to acknowledge those in the service and hospitality industry that ‘shine’ and leave a lasting impression on our guests and visitors to our city, as well as residents of our city.  It serves to educate and encourage customer service excellence and we at the Lord Elgin Hotel have embraced the program wholeheartedly. The Stars Of The City program will facilitate Ottawa and Canada’s Capital Region in becoming known as a world class destination that prides itself on superior customer service across all sectors. The program will deliver star events and collateral that will help to reinforce the “Stars Of The City” designation as Ottawa Tourism’s official recognition of excellence in customer service. It will also create awareness within the tourism industry, and for visitors and residents alike, about the importance and benefits of nurturing and rewarding front line staff. In 2017, the Lord Elgin Hotel celebrated a year like no other! Our owners invested in an extensive and beautiful renovation to our guestrooms and corridors that were completed in January 2017. The 150th celebrations brought to Ottawa many incredible events and conferences we would not have seen otherwise. And, to top it all off, our team pulled out all the stops to raise the bar on how we roll out the red carpet and take care of our guests. 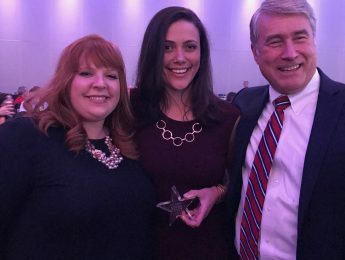 So in November 2017, when we attended the Stars of the City Awards Gala, many of us were brought to tears when we won both the Star Team of the year and our own Sulin Quant Anastas won Star of the Year for her very compassionate care of a very ill guest. It does not get better than this! We were so thrilled for each other and for Sulin! We are SO very fortunate to work in such a beautiful hotel, in such a beautiful city with such terrific folks working by our side….so much to be grateful for!!!! It was certainly a year where the Stars aligned!!! If you encounter a STAR here in Ottawa you would like to nominate, please click here and complete the form on the Ottawa Tourism site. It means a great deal for those who work in this wonderful and crazy business we enjoy so much! !